I've written before our finances and how to manage it. This talks more about the spending side. Jessi and I recently celebrated our second wedding anniversary which started up the discussions of what to get each other. 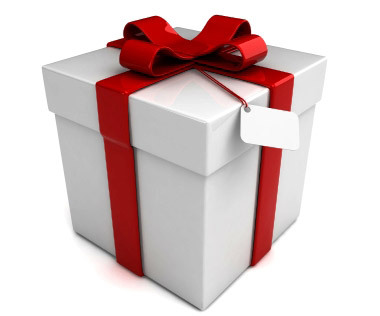 This ultimately lead to a broader discussion about buying gifts. You see, we find ourselves wanting to get each other something nice, yet don't want to accumulate any more items. I also still have the crazy goal of owning less items the next time we move. The solution we landed upon was buying experiences, instead of stuff, for each other. For example, Jessi has never had a professional massage. I could get her a certificate to a local place and let her experience it. Or a manicure, pedicure, or some other rejuvenating experience. Going to a concert or taking a small trip are also great options. The point is to create memories and store those instead of simply buying "stuff" and storing those. I recently read an article in the New York Times called "But Will It Make You Happy?" that has emboldened me even more. The article basically says that spending money on experiences makes you happier. "New studies of consumption and happiness show, for instance, that people are happier when they spend money on experiences instead of material objects, when they relish what they plan to buy long before they buy it, and when they stop trying to outdo the Joneses." Very interesting. The reason is because the satisfaction lasts longer. "One major finding is that spending money for an experience - concert tickets, French lessons, sushi-rolling classes, a hotel room in Monaco - produces longer-lasting satisfaction than spending money on plain old stuff." In psychology this is called Hedonic Adaptation which means as your situation changes so do your expectation resulting it making it harder and harder for you to be happy. I think it's very similar to the boiling a frog in water metaphor. What this means is that when you buy something, it sits next to you and you eventually become used to it - it's no longer special. However, an experience is here and gone, never giving you a chance to adapt to it, and therefore it remains special much longer. Timothy Ferriss wrote in his book "The 4-Hour Work Week" about finding happiness (He also talks about taking a media fast which I did, and wrote about). He actual claims that our goal should not be finding happiness, but instead seeking excitement. To me, this falls right in line with buying experiences instead of stuff. My last observation was of ourselves. We ultimately bought each other "stuff", but we also had an experience. We ate cake and drank champaign while watching our wedding video. When the toasts came up, we toasted with the video. When glasses clinked, we kissed each other. I can hear the romantic "ahh" right now... It was a lot of fun, and that's the story I keep sharing with friends, because in all honestly was the best gift for our anniversary. So, from now on Jessi and I are going to purposely focus on giving each other experiences instead of just buying material items. It should lead to less clutter, more excitement, and more happiness.